This book, widely regarded as the standard work in the field, presents the state of the art in chest sonography with the aid of a wealth of excellent illustrations. It provides the reader with concise, easy-to-assimilate information on all aspects of the use of the modality, including indications, investigative techniques, diagnostic decision making, and imaging artifacts and pitfalls. Numerous ti… ps and tricks and potential sources of diagnostic error are highlighted to aid in daily clinical practice. This fourth edition has been extensively revised to take full account of the latest techniques, study results, and meta-analyses, with inclusion of important additional illustrative material. An entirely new chapter is devoted to interstitial syndrome, and detailed guidance is provided on contrast-enhanced sonography, ultrasound techniques for evaluation of the mediastinum, and the role of chest sonography in emergency medicine. 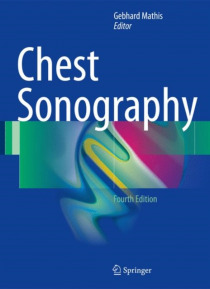 As the value of the technique continues to grow, readers will find Chest Sonography to be a superb up-to-date resource and guide.